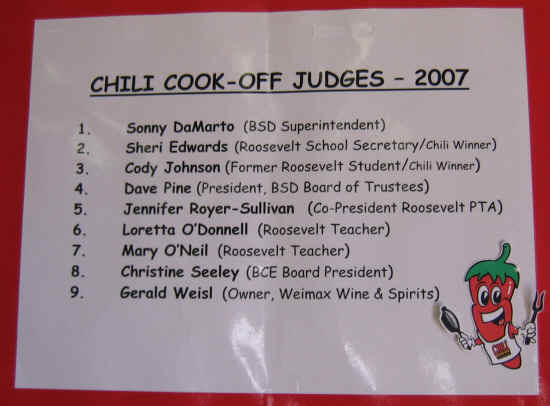 I suppose I needed time to recover from the previous Roosevelt Chili Contest, as it had been two years earlier that I'd accepted the invitation to judge chili's. 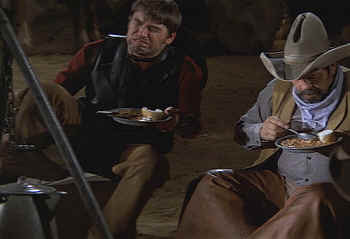 Someone asked if being at the judge's table is anything like the campfire scene in the movie Blazing Saddles. 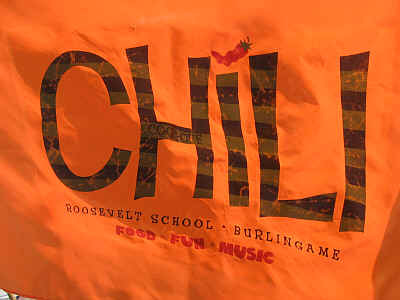 Click on the campfire photo if you've not "enjoyed" the campfire scene in a while. 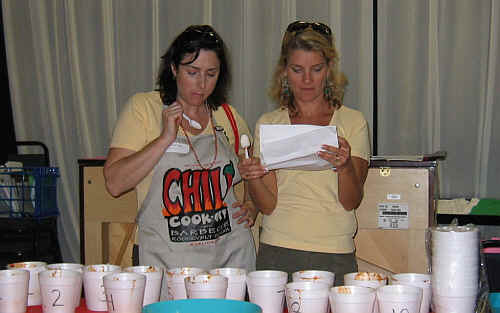 Happily, our judging of the 2007 Chili's did not resemble the scene in Blazing Saddles. 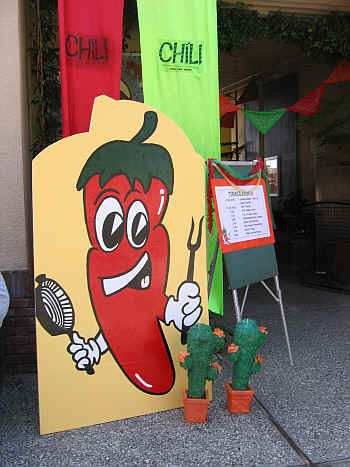 Just precisely how "hot" are all these chili's??? 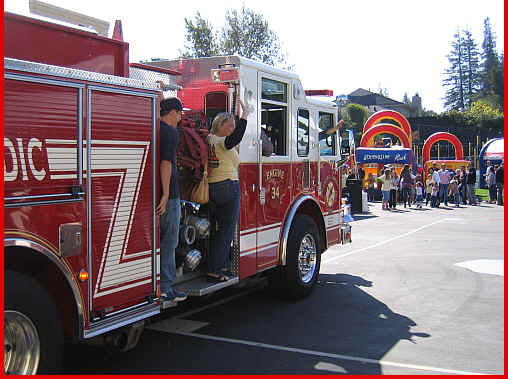 Then the judges rolled in on a fire truck! 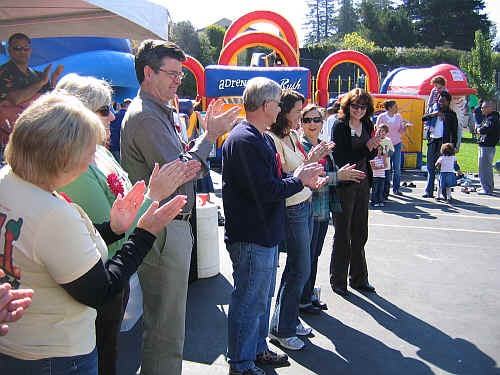 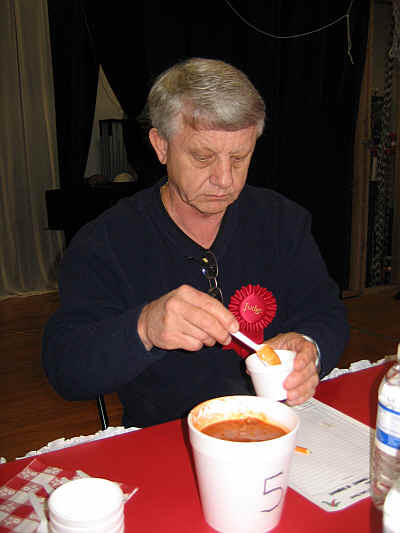 The judges are then introduced to the crowd of people who are already enjoying chili. 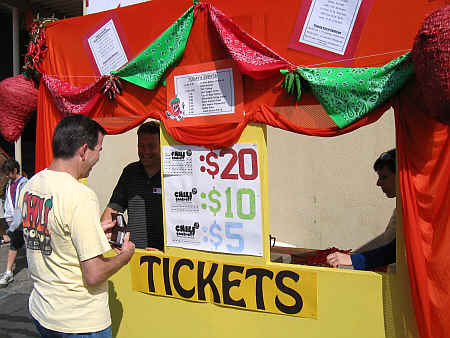 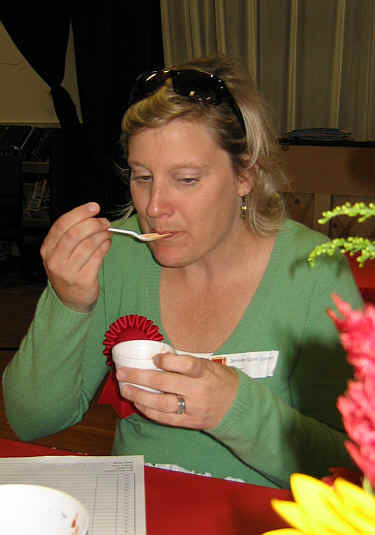 Nine chili experts gathered to taste 23 entries in this year's cook-off. 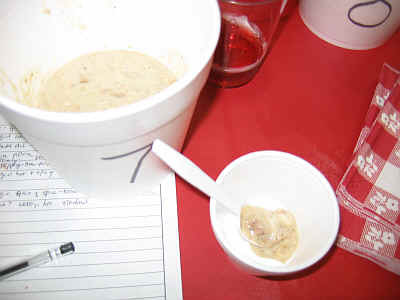 We immediately got busy and took voluminous tasting notes as we filled up our score sheets. 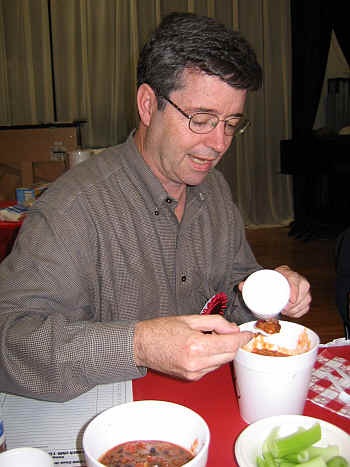 That's Mr. Dave Pine, the school district board president. 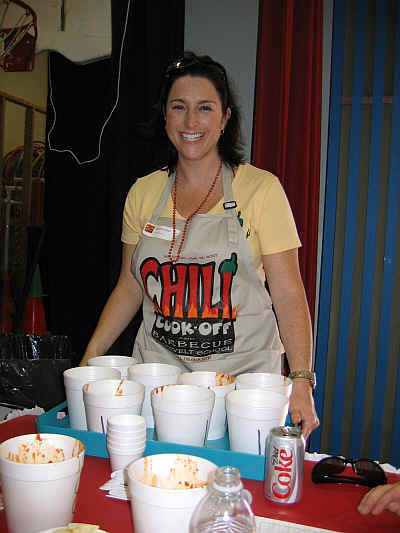 School District Superintendent Sonny Da Marto handed out some good grades for a few chili's. 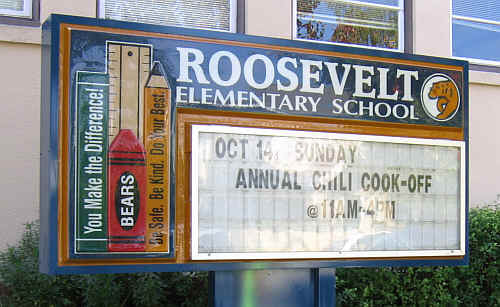 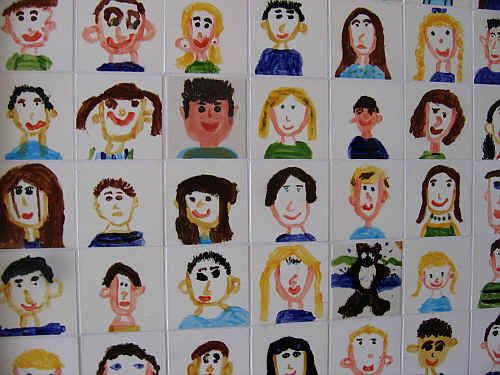 Jennifer is the co-president of the PTA. 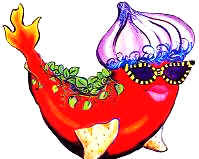 The chili's are tasted "blind." 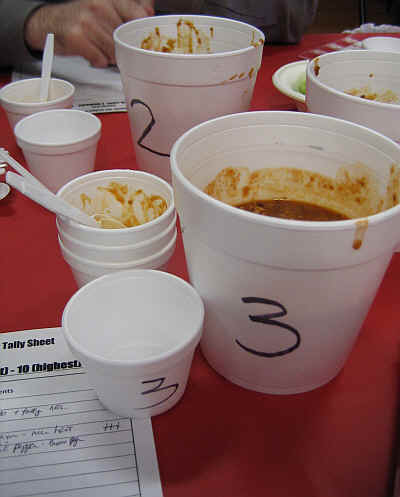 That means each is presented with an anonymous "code number," so we do not know whose chili is whose. 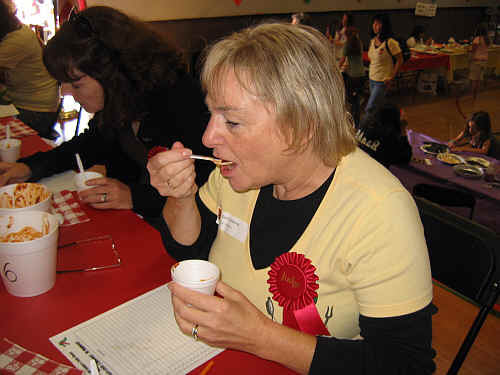 I was relieved to see that, unlike the wine-tasting events where I'm a judge, people at a chili tasting do a whole lot less spitting. 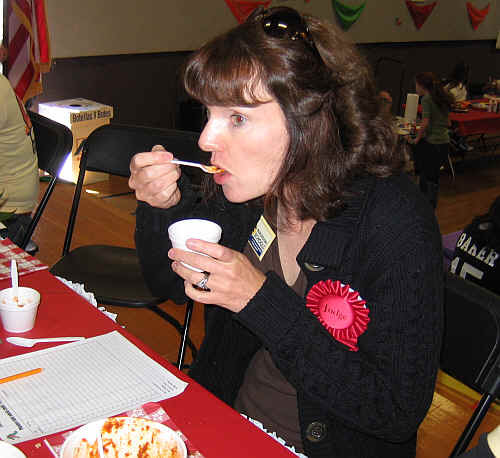 Sheri Edwards knows a good chili when she tastes it. 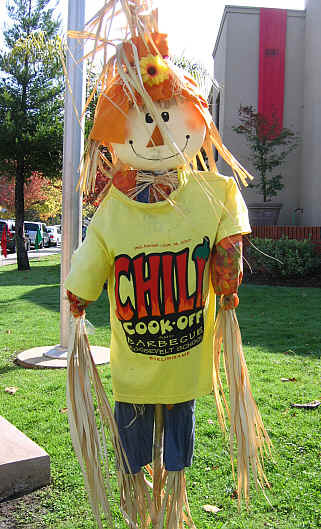 She won a prize for her chili-making when she's not answering the phones at school. 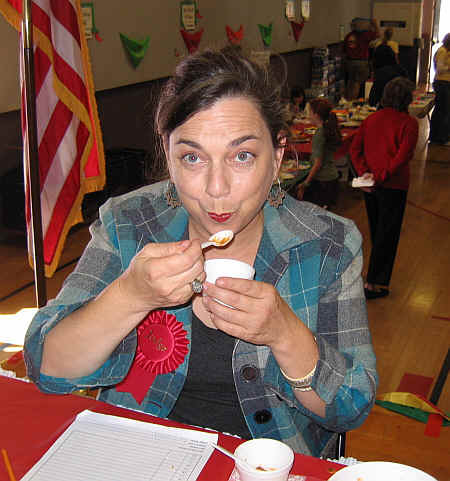 Mary O'Neil appreciates a fiery, spicy Chili. 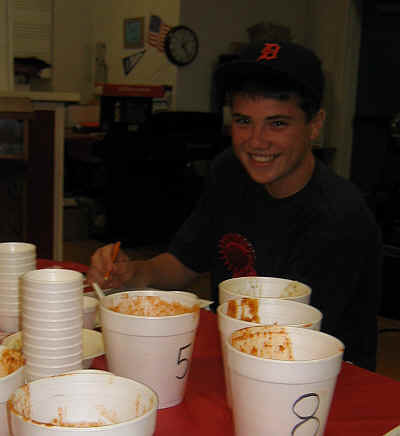 Chili Judge Cody Johnson was pleased to have a good excuse this weekend for not doing his homework! 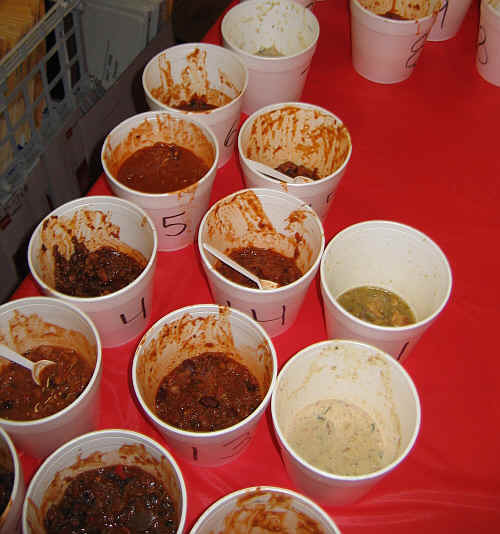 We tasted "flights" of chili's...typically being offered 5 at a time. 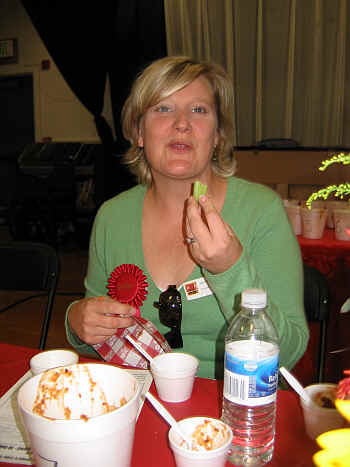 Michelle Taylor served ably as our "flight attendant." 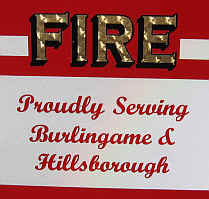 We had celery sticks as palate cleansers and these really helped put out the fire. 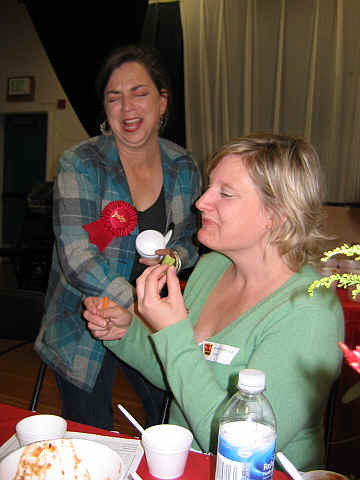 As the judges pondered their tasting notes, organizers "Mighty" Michelle and "Anaheim" Amy enjoyed a few tastes. 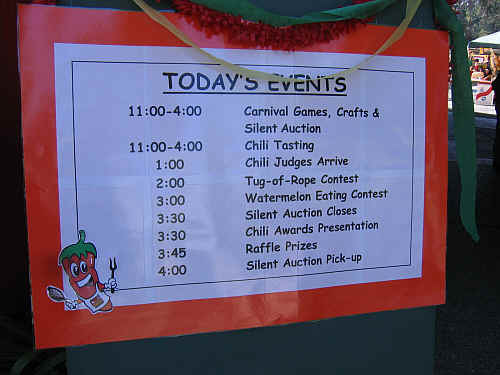 After we had finished the "taste-test" part of the judging, we went outside to have a look at the various chili contestants, their presentations and their interestingly named chili preparations.